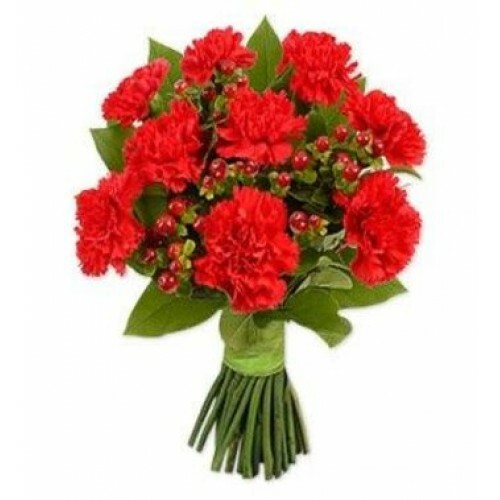 Our Passion bouquet is a gorgeous hand tied arrangement of ruby red carnations, berry and forest fresh foliage. The arrangement is skilfully arranged by one of our expert Spanish florists and is available for next day delivery in Spain. Passion is a perfect arrangement to send to a special someone and is suitable for all occasions.